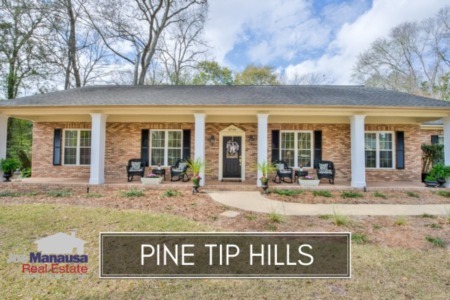 If you head north on Meridian Road past the I-10 overpass out to Rhoden Cove Road, you'll find an upscale neighborhood of larger homes called Pine Tip Hills. This is an exceptional neighborhood that is often missed by prospective homebuyers. There is a tendency of higher end homebuyers to mistakenly limit their home search to the Northeast Quadrant of the Tallahassee real estate market, and that means Pine Tip Hills is excluded by virtue of being a few hundred yards west of a boundary line. Meridian Road is the east-west dividing line in Northern Tallahassee, thus a search of the Northeast omits Pine Tip Hills which is situated along the far east edge of the Northwest Quadrant in Leon County. Due to this common omission, fewer capable buyers are shopping in Pine Tip Hills, meaning you can often times find superior values here that are hidden from many of the buyers who should be competing for these homes. It is important to note that the narrative contained below is for sales through December for all previous years, but through the first week of May in 2016. The graphs and the closed sales table will be continuously updated into the future (meaning bookmark this page if you always want to know the current status of homes in the Pine Tip Hills). Pine Tip Hills home prices have rocketed higher thus far in 2016, up 31% over the average recorded in 2015. The average home sales price in Pine Tip Hills in 2016 has been $468,625, which is only 3% lower than the highest average price recorded at the peak of the housing market back in 2006. Home sales activity in Pine Tip Hills was the fifth best year on record last year, so it's not surprising the pace of sales is slower this year. It is important to note that this is a supply-side issue, as all Pine Tip Hills homes that have hit the market in 2016 are either under contract or closed by now. Average home values are 9% higher in 2016 than they were last year. The average value of a home sold in Pine Tip Hills in 2016 has been $148 per square foot, which is roughly 10% lower than average home values recorded back in 2006 and 23% higher than those at the market bottom in 2013. The four homes sold in 2016 have averaged 3,061 square feet. 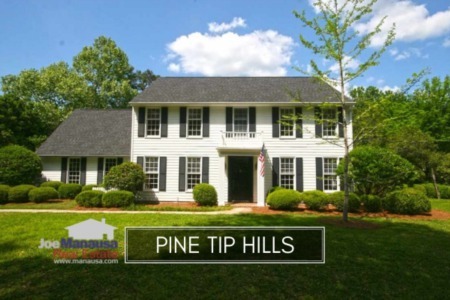 The following map and list of homes are the most recent listings in Pine Tip Hills. As I prepare this report in early May, there are two homes for sale in Pine Tip Hills, but both are already under contract, thus they do not show in the map or list below. 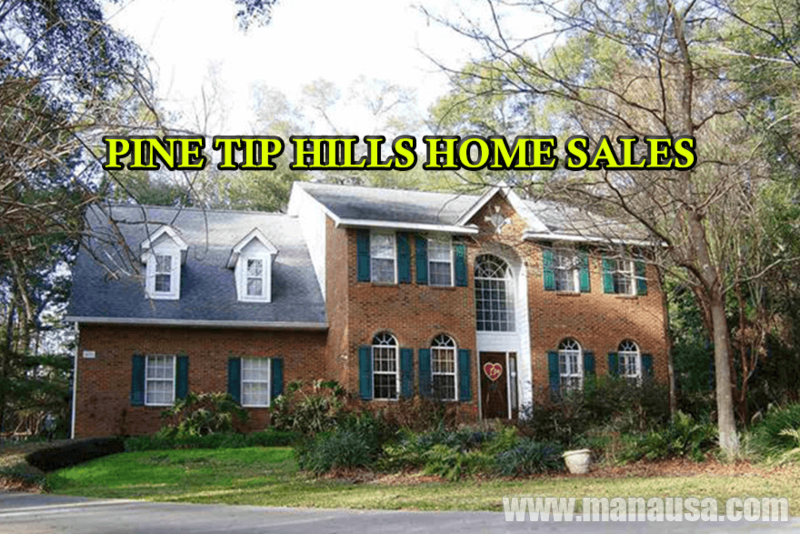 This list is updated 96 times each day, so you can be assured that this page will always bring you the most up-to-date listings and sales that can be found for Pine Tip Hills (bookmark this page if this is an area that you want to track). I hope you enjoyed our May 2016 update on home sales in Pine Tip Hills, please feel free to drop me a note if you have questions not covered in this report.